Across the world, young people are shaping the future in healthcare, education, technology, food security and more. Their ideas are transforming communities and society. 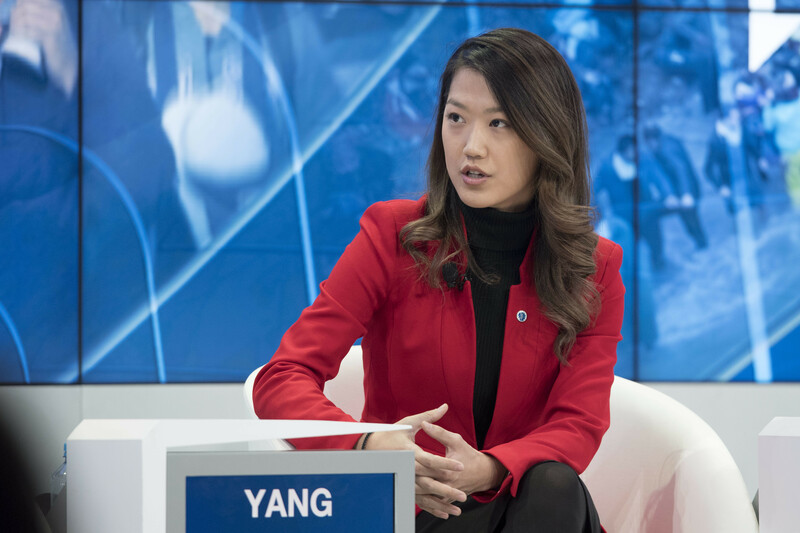 To celebrate International Youth Day, here’s a look at the achievements of six inspirational young leaders who are improving the state of the world as part of our Global Shapers Community. Basima is an Iraqi structural engineer who is passionate about the environment. She founded Kesk, one of Iraq’s first sustainable architecture consultancies, to build greener buildings in her homeland. Her consultancy helps other businesses to make their buildings more sustainable through retrofitting. No easy task in a country where security and the economy are top priorities and there is a lack of awareness of sustainable design and architecture. But this hasn’t deterred Basima, who has big ambitions for the future: she wants to build her first green building within a couple of years and an entire green city in the northern region of Erbil in the next decade. Kwiri is the founder and CEO of LifeGyde. The online platform is a space for young people to seek advice, guidance and support. She has an impressive track record of supporting not only individuals, but also small- and medium-sized businesses. Her first venture helped immigrant owners of small businesses in California and she went on to found four more companies that helped local communities. When she developed anxiety and depression Kwiri realized how many people, like her, were struggling with their mental health – and LifeGyde was born. As well as fighting stigma around mental health, LifeGyde also provides access to preventative information and advice. 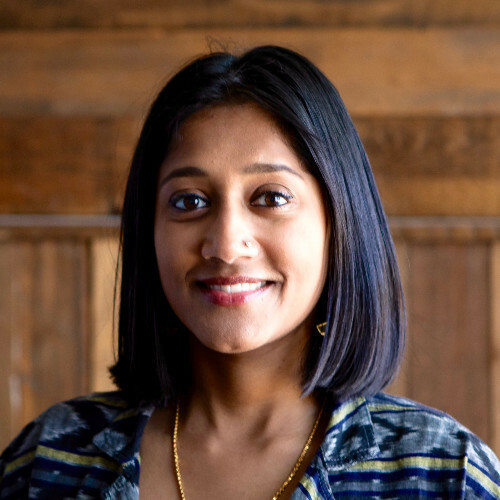 Abi is the co-founder and CEO of ImpactVision, a software platform that uses machine learning to reduce food waste. She is also a co-chair at the World Economic Forum’s upcoming Annual Meeting of the New Champions. ImpactVision’s technology uses hyperspectral imaging – a combination of digital imaging and spectroscopy – to take a picture of food and analyze its nutritional value and freshness. The non-invasive system aims to reduce waste while also improving food safety and consistency. As technology advances, the sensors it uses are reducing in size and price, and could soon be integrated into everyday devices. A hyperspectral camera – and a better understanding of the food you’re eating – could be coming to a smartphone near you. 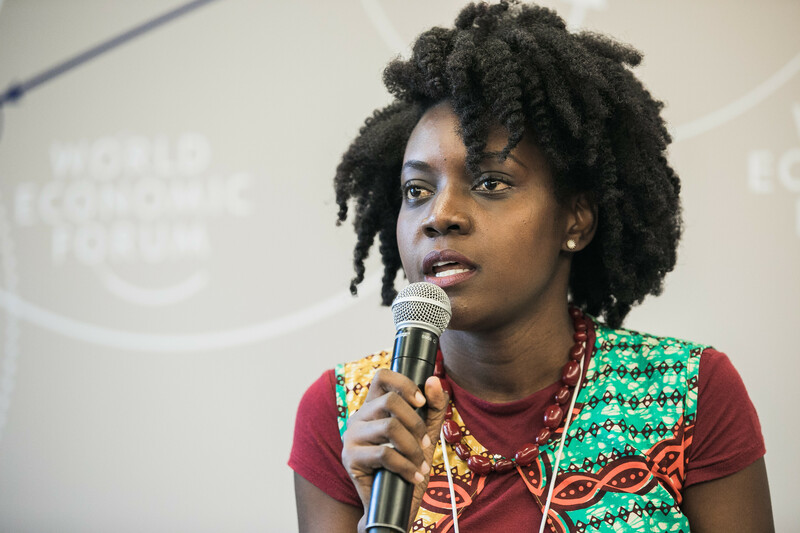 Doreen is COO of Ubongo, a multi-media educational platform in Africa. Using the power of entertainment and mass media, the company provides educational material at low cost and high volume and scale. Some 6.4 million households in 31 countries currently watch, listen and learn from Ubongo’s cartoons each week, with improved outcomes in maths and school readiness. In addition, the cartoons have also been shown to have a positive impact on the behaviour of caregivers. In Akili and Me, children aged three to six join Akili in Lala Land, where they learn English, drawing, numbers and letters. 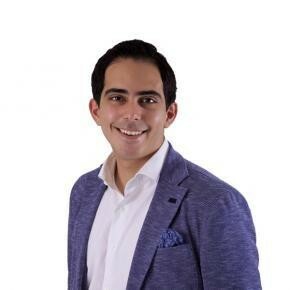 Nafez is CEO of the London office of the Queen Rania Foundation. Started in 2013 by Queen Rania of Jordan, the foundation aims to be the leading educational resource in Jordan and the rest of the Arab world, and to facilitate the development of new ideas and initiatives. In his previous job, Nafez was the CEO of Edraak.org, which was the first non-profit Arabic massive open online course (MOOC). The platform reaches more than 1.5 million Arabic-speakers, including disadvantaged youth across the Middle East. It offers original Arabic courses and access to Arabic language versions of courses taught by online educational platforms such as HarvardX and MITX. 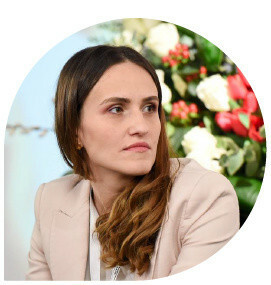 Oana, a former state secretary in Romania’s Ministry of Labour, applies her passion for social innovation to search for solutions to some of the world’s big problems. She’s the founder and general manager of Social Innovation Solutions, which offers training and consultancy in social innovation and entrepreneurship. Before that, she led the team that set up Mesteshukar BuitQ, a social enterprise focused on traditional Roma crafts and skills. The organization promotes not only cultural heritage and ancient knowledge of Roma people, but also aims to tackle prejudice and discrimination. She’s also on the Board of Directors of The Entrepreneurship Academy, where students work in teams, learning about business by running real businesses under the guidance of a “team coach”.